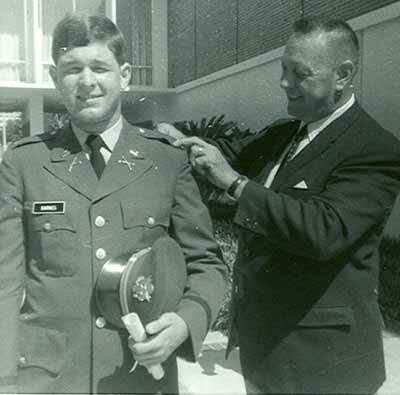 Photo of dad pinning on my new 2nd Lt. bars, 1969. I was an infantry officer myself in Vietnam in 1970. Photo via Charles Barnes.